Webinar: Scia Engineer 14. Expanding Design. 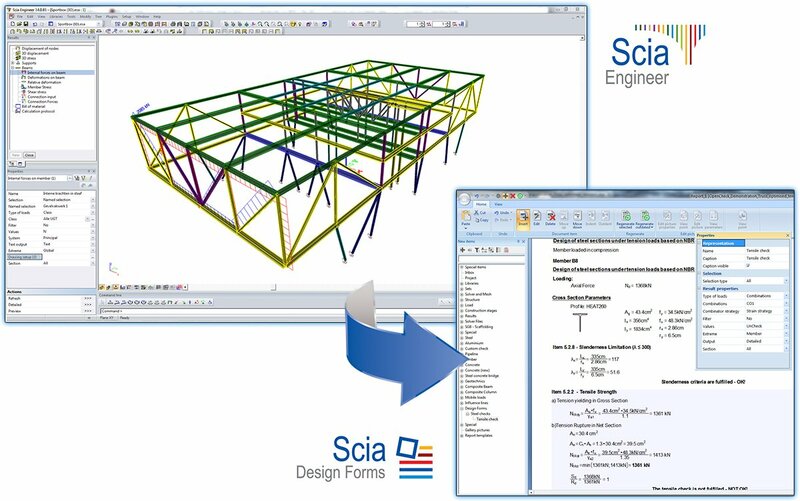 Introducing Scia Engineer 14 - “Expanding Design”, the latest version of our flagship structural analysis and design software. The new release delivers capabilities to move beyond the traditional limits of 3D structural analysis software by integrating all the design workflows, even custom ones. With the Scia Design Forms scripting language, write your own calculations that seamlessly link to Scia Engineer. This allows you to consolidate the number of design programs you have to support and maintain, and to expand the scope of Scia Engineer beyond what is shipped out of the box. To centralize all the reporting tasks, the brief or detailed Design Form output can be displayed in Scia Engineer’s Engineer Report. The fruit of a research project with Prof. Patzak from the Department of Mechanics of the Civil Engineering Faculty, Technical University of Prague (Czech Republic) is a breakthrough innovation: Faster, more accurate meshing thanks to automatic, smart mesh refinements based on error estimators. Additionally, a new, detailed 3D display of displacements and stresses on members allows the engineer to understand better than ever before the behaviour of the structure under the applied loading. Also, the new singularity check displays the shape of the rigid body translation or rotation that can occur when the analyzed model contains a mechanism, enabling the user to quickly identify the source of the singularity and to correct his model accordingly.